Lidia Oshlyansky is the Design Lead for Spotify's Growth Opportunities team. Her team of designers look to grow Spotify's user base by, among other things, launching in new markets and identifying new audiences for Spotify’s service through deep understanding of the user's needs, expectations and particular market dynamics. Lidia has spent the last 17 years in User Experience Design. She studied Psychology as an undergraduate and then moved into Computer Science and finally to Human Computer Interaction, in which she holds a PhD. It is blending these disciplines that has driven her commitment to User Experience and User-Centered Design ever since. Her career has taken her from social work to backend engineering to design, research, product and back to design. She's happiest when she can help find that magic 'market fit' where the product or service is one that people love to use, can be built at scale and has real business value. 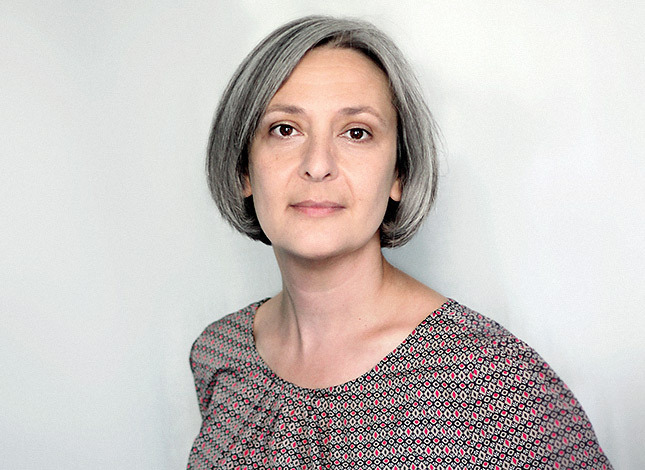 Lidia has worked in agencies and consulting where clients ranged from multinationals such as UBS Bank to charities such as WWF.org and government sector such as the UK Department of Health. She has also worked directly 'in-house' for companies such as Nokia, Google, Schibsted Media Group, Trinity Mirror and now Spotify. Design is about change - hopefully GOOD change; change for the better. Design has always stood for creation of products, services, systems, digital and physical and for the people who use these services and products. Design is about creating new innovations and tools that make lives better, easier, more enjoyable. Design is about the response to change, the evolution or revolution of our every day reality and about making things that people want to use, own, share, save, explore, enjoy. In an ideal scenario design drives change and is informed by change. As organisations and as experts in those organisations we want to be there to drive positive change. It is through people centred, empathetic design that organisations can impact lasting change and lasting impression on their customers. Lidia will take you through the changing landscape, using examples of her work and the world around us. She will show you that the overall experience of people using products or services is what counts. From necessity to usability to enjoyment!